NX-2C (Ivy) Be sure to grab the Mask and Eye Liner Mask files, to be safe. Post War Venom If you want the same color lips. Scarlett Body and Face Preset (CBBE) You'll need both of the files on his page. If the makeup does not show in-game, leave a comment and I will fix it A.S.A.P. Venom LastRites Character Preset Pre War In order to look the same it is needed. 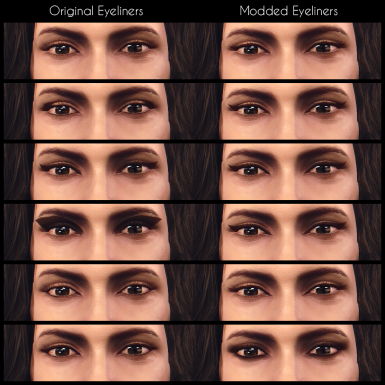 Wasteland Heroines Replacer and Presets All in One Please choose "Lip Liner Mask" only. Decided to add a pack of 9 alternative eye liner masks (6 Eyeliners + 2 Lower Eyeliners + 1 Waterline Eyeliner). 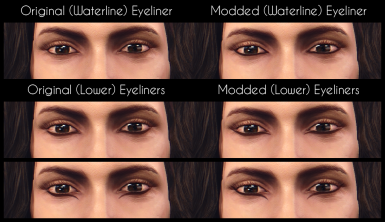 Similarly to the Lip Liner, this mod replaces each of the 9 default eyeliners, for a more modern look. 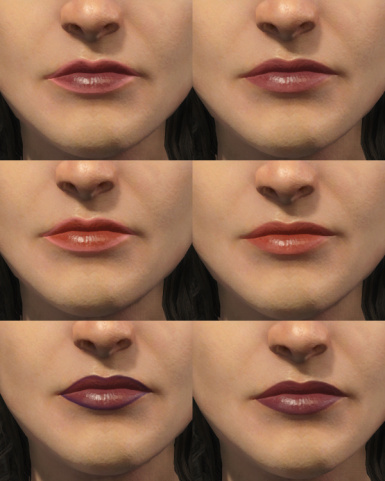 This update is completely independent from the Lip Liner, but 100% compatible. 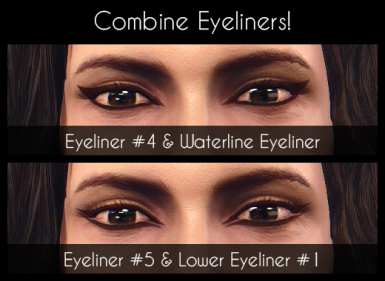 Combine eyeliner types for best results - The Waterline Eyeliner can be used independently but also acts as a bottom fill for most of the Eyeliners - Eyeliner #5 works best with Lower Eyeliner #1! Check out the screenshots! NOTE: The player character's eye lids are not symmetrical (or smooth)! Pixel-perfect alignment is not possible, but other than that feel free to report mistakes, post suggestions, etc. in the comments. No changes were made to the Lip Liner - no need to update it! An alternative Lip Liner mask - a smooth gradient to better blend in with your lipstick. So, full disclosure, this mask replaces the default one, making the lip liner effectively a lip gradient. 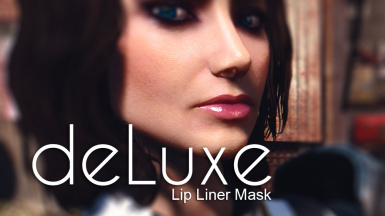 This mod is for players that don't care much for the game's lip liner as is, and wouldn't mind losing it in favour of more colour variance for their lipstick. 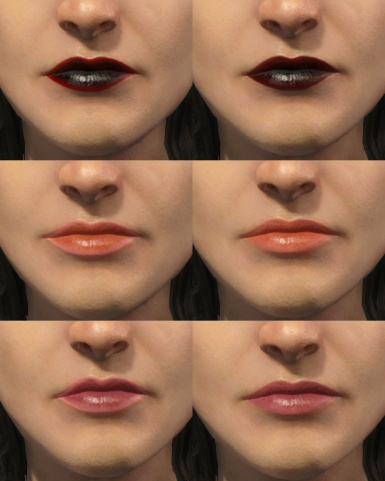 The current version is very light – meaning the colours of certain shades are barely visible, this is so specific shades blend in naturally with the lipstick (see screenshots). Keep in mind the effect is more noticeable in-game! The mask image is by no means high quality due to the format's (.dds) compression, but it's still much better than the original, and it looks smooth in-game. This mod can be installed automatically via NMM. 1. Your game must have mods enabled! Follow the instructions here or try this new method by InsanePlumber (FASTER LOADING TIME). 4. Copy/move the contents to the game's Data folder (...\Fallout 4\Data) and merge the folders when prompted.